A memoir of Christian faith that focuses on a family crisis. Merritt (The Gift of Seeing Angels and Demons, 2016) opens this nonfiction work with an account of a personal tragedy: her husband Dan’s 2006 diagnosis of mantle-cell lymphoma, a rare form of cancer with a grim prognosis and a low survival rate. Thus began what she refers to as “our journey into cancer-land,” in which her faith was tested and refined as her husband dealt with medication issues, weakness, chemotherapy, and other difficult aspects of aggressive cancer treatment. She and her husband and their friends struggled with maintaining a “continual attitude of gratitude,” which she identifies at length as the central core of the Christian life—a patient thankfulness that sometimes sits uncomfortably alongside the worry and urgency of serious illness. 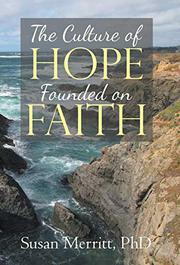 As long as we live, Merritt tells readers, “God continues to work in and through us to bring us to the point of readiness to step into His presence.” This tone of humble trust will have an immediate appeal to fundamentalist Christian readers. However, some other aspects of the text may cause problems for some readers. For example, the book asserts that “God’s timing was perfect” when he caused the drug Rituxan to be approved in the same month that Dan was diagnosed; however, it doesn’t discuss why other, earlier cancer patients weren’t allowed access to the same drug. Also, it doesn’t address the fact that, despite numerous scientific studies, it’s never been conclusively proven that faith and health are linked. Finally, the author tends to attribute numerous other events to God’s direct intervention—such as the family’s decision to change churches or the fact that a trap caught a mouse in her kitchen—which will seem like overreach to some readers. A touching, if problematic, testament to the power of faith in a time of trial.